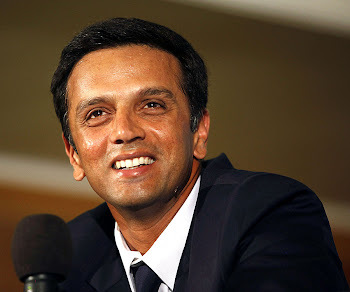 Rahul Dravid along with Anil Kumble and Shaun Pollock will get honorary life membership of the prestigious Marylebone Cricket Club (MCC). The trio, who are also in MCC's World cricket Committee, will be presented with official club ties by MCC Head of Cricket John Stephenson. "Anil, Rahul and Shaun are huge names in the sport who contribute much to the game and whose expertise is invaluable to MCC's World Cricket Committee. We are delighted to welcome them as MCC Honorary Life Members," said Stephenson. The World Cricket Committee will also meet in New Delhi later this week to discuss the current issues affecting the game. The committee will then make a series of recommendations aimed at improving the game and its governance. Stephenson said that the two-day meeting, slated for Saturday and Sunday, will cover a range of topics from the impact that Twenty20 competitions are having on international cricket to a comprehensive review of the use of technology for the purposes of decision making. Kumble and Dravid will give a players' verdict on the Umpire Decision Review System; MCC President Derek Underwood will ask the committee to consider whether there is a decline in spin bowling around the world; and guest Inderjit Bindra, who is International Cricket Council's (ICC) Principal Advisor, will outline the successes and future direction of the Indian Premier League. "Free from considerations of politics, money and race, the MCC World Cricket Committee can and does act solely in the interest of the sport and its players. The game of cricket needs debate and forthright opinion, now more than ever, and we can expect more healthy discussion in New Delhi over the coming days," Stephenson said. And amazing victory wasn't it? just like the tour in 2001. Looking forward to see dravid score more runs at delhi. hey,i am biggest fan of rahuldravid.congrate to rahul for this achieveement.best of luck for next match.